Apple recently took the decision to bring the manufacturing of some of its Mac line-up back to the United States, and given how popular a move it was, it is no surprise that the company has seized upon almost every available opportunity to mention and showcase the American arm of its manufacturing landscape. 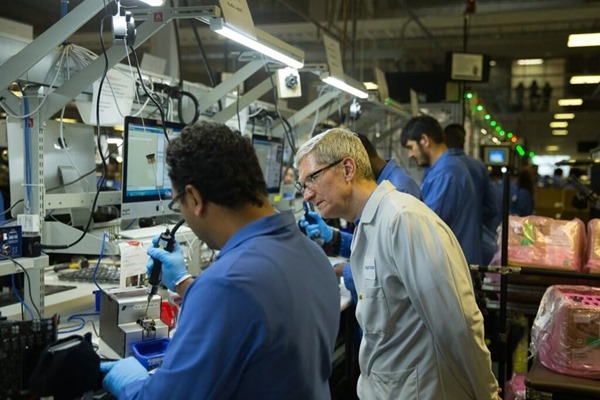 Tim Cook, being the head of the organization and all, was only too keen to tweet images of his encounters with Mac Pro production line workers at the Austin plant, but in a bit of a PR gaffe, showed that staff are being prompted by iMacs running on Microsoft’s Windows. 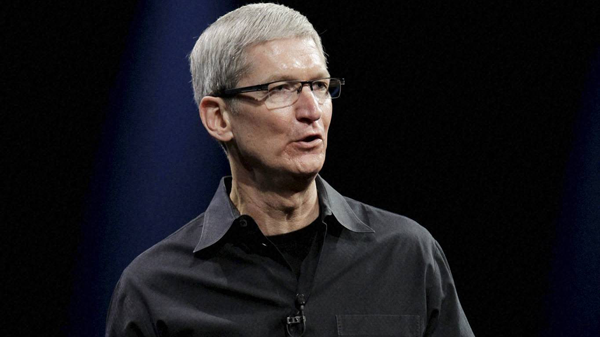 Given that Apple is the maker of OS X – Microsoft’s long-standing and most fierce rival to Windows – this is definitely an error that Cook will regret having slipped through the net, but it’s not the first time an Apple factory has been caught out in this manner. Factories in China manned by Foxconn, one of Apple’s foremost suppliers, are also known to use the Windows OS on a day-to-day basis, but be this as it may, Cook could certainly have been a tad better with the choice of photo to share with the world. Earlier this week, Apple unveiled the Developer Preview 1 of the new OS X 10.10 Yosemite, complete with a bunch of new features along with a revamped UI that offers a cleaner, flatter aesthetic akin to the recent changes to iOS. It will soon roll out as a free update to the Mac App Store, but while it probably won’t be promoted in ad form until the end-user release is upon us, it appears that the Cupertino is already preoccupied in showcasing the ubiquitous nature of Windows anyway. Apple’s decision to move manufacturing of certain Mac lines to the U.S., including the all-new Mac Pro, is one that has been met with an overwhelmingly positive response on home soil. After all, it’s been decades since Apple produced anything of note in the States, preferring the cheaper labor options found across parts of Asia, but having now streamlined its manufacturing process and decided that it made good business and PR sense to create jobs for Americans as well, it appears that everything is running smoothly after the visit of the head honcho.